Are my skills enough to summit? Do you want percentages and statistics, or to be told you have an excellent chance? Very few clients like to be told that they are the greatest variable in the equation, but it is true. For each course we outline the level of previous skills or experience that is required for an ascent. 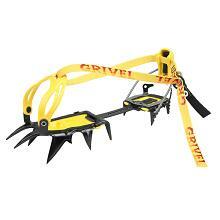 If you approach us stating that you have never worn crampons, but "are a fast learner", you have definately lessened your chances of summit success. When anyone comes to us with a similar statement to this we draw their attention to these facts, but as long as other competant clients are not affected in any way, we let each client decide if they meet the pre-requisites for the course, or choose to ignore them. The other main personal factor if your physical condition. This is tackled by another question on this page. If you are in any doubt as to the level of your skills, then either consider a longer course, or perhaps a few days of refresher or acclimatisation training before the course. In our experience there is on average only one week a year when the chosen summit cannot be reached, and other safe objectives are offered. We know the local weather systems and conditions so well, that if there is any possibility of an ascent, we will select the best option. In addition, our local presence gives us a massive amount of greater flexibility, in terms of changing hut and cable car bookings, providing genuine logistical in-resort support to our guide team and clients. 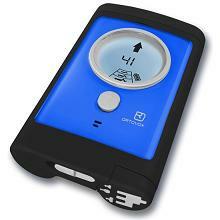 This is a key factor that gives us better summiting records than any other operator. In addition we carefully schedule each course to only operate in the periods of best weather and conditions and all the courses have carefully planned itineraries, designed to build your stamina and skills. Our aim is to make you achieve your goals in the safest and most enjoyable way. However nothing in the world of mountaineering is guaranteed, and our summiting record could never safely be 100%. The fitter you are, the enjoyment you derive from the course will increase. The Course Info Pack that you receive upon booking includes training plans & advice. If you are in any doubt as to the demands of any course, or your training methods, then look at the following page; Training Page, for information and advice. Inevitably, some clients, doubting their fitness or ability, have chosen to pull out from summit attempts. If possible we offer alternatives. For an attempt on Mont Blanc we suggest that you are capable of running a half marathon in a respectable time (c. 1hr 45mins). Many people ignore this, especially those who have been to a higher mountain, such as Kilimanjaro, as they try to compare the summit days. One mountain is a tough hike on the final day, and you could almost do it in trainers. The other involves the use of axe and crampons just to get to the hut, and all the time above it. These peaks are not comparable in any way. Almost anyone can ascend Kilimanjaro, but only those who have trained well have a good chance on Mont Blanc. 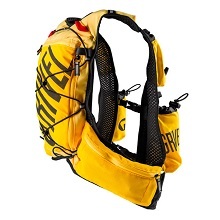 In addition you need to be hill fit, used to long mountain days carrying a pack, and long scrambles over broken mountain terrain. Don't train for the minimum and hope you will get away with it. You've read it here that an ascent of Mont Blanc will probably be the toughest physical effort of your life. Don't ignore this. How about Diamox for the altitude? No, no, no! Does that answer it? 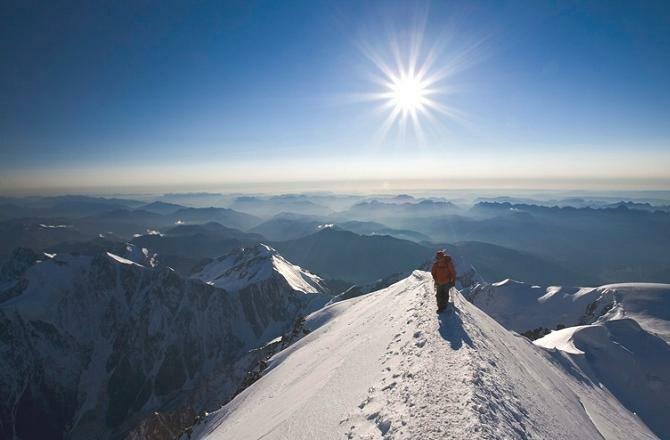 For the height of Mont Blanc, the benefits of taking Diamox are far outweighed by the side effects. Diamox is a drug that aids the body to acclimatise faster than naturally, but if you are worried about this, it is a lot simpler to book on our acclimatisation weekends instead. Also you must not take high doses of Asprin whilst taking Diamox, as the combination can be fatal. The key side effects of Diamox are frequent urination (it is a diuretic prescribed for those with fluid retention) which is an issue for climbers in terms of getting cold and dehydrated, parethesias (pins and needles sensations, and hot aches), a loss of appetite, nausea, vomiting, diarrohea, sluggishness, drowsiness and confusion. 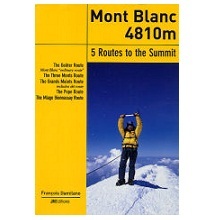 With that list, who in their right mind would even consider it for a relatively low altitude such as Mont Blanc. Do you accept charity ascents? NO we never knowingly take bookings from people who openly inform us that are involved in a charity or challenge attempt on Mont Blanc. The reason for this is that we believe it puts the individual under too much pressure with a focus on one named summit. This could be at the detriment of mountain safety, which is both unprofessional, and has a negative impact on the enjoyment of others in the group. Also many activities insurance do not provide any cover for charity ascents of mountains. Will I require a sleeping bag? If you are staying in mountain huts a sleeping bag is NOT necessary, as the guardianned huts all provide enough blankets and sheets to keep you warm. We suggest you take a sleeping bag liner for hygiene reasons, and the hut guardians ask you use them for hygiene reasons. We have heard laughable quotes ranging from "it's just a walk" to "vertical ice and rock walls". As far as grades go, the Gouter route on Mont Blanc is classified as Alpine PD (Peu Difficile / Little Difficulty) grade, but this doesn't give you a real idea of the skills you will actually require. We clearly state that all clients should have great balance combined with the ability to move quickly and efficiently over broken mountain terrain, as well as being confident on steep ridges. If you meet the pre-requisite requirements as detailed above, if you acclimatise will, and you have the required level of fitness, then there should be no problem. The guide is there to look after your safety, but if you do not meet the pre-requisite skills or fitness requirements, then you must respect their decision if they turn you around on a mountain, or advise you against attempting the mountain. For example if you are falling over and have poor balance, it is not safe to ascend to the Gouter hut, let alone the summit, and the guide has the authority to turn you back for your and their safety. If you have poor fitness, and are exposing yourself and others to risks for too long a time, the same applies. We advertise very honest pre-requirements for this course, and have not seen any other operator outline them anyway nearly as clearly as us, in the hope that you take these points on board and train appropriately, as well as gaining the pre-requisite level of skills. How will high altitude affect me? If you knew the answer to this question, you probably would not need to book onto a course, but as you are unsure about the effects of altitude, rest assured that you are in the best qualified and most capable hands of an IFMGA mountain guide, who has received specialist altitude medicine and rescue training. To further put your mind at rest, mountain rescue helicopters can fly to any summit in the Alps, so a rescue off Mont Blanc is possible. Altitude sickness affects people in different ways. At altitude, you will notice the air is thinner, though most of the feelings of nausea are due to the effort of the ascents. Most people sleep very lightly at altitude, so we try to arrange for alternate nights to be spent in the apartments in Chamonix. Is it suitable for <18's or >60's? Mont Blanc is a huge physical effort, and many insurance companies ask for extra premiums or medical details for those over 60. This is one key reason we check your activites insurance before starting any guiding. We have had people aged well over 70 summit Mont Blanc, but in our experience we have found that those aged over 60 may benefit from either a two week course, or a full week of acclimatisation in the Alps before a Mont Blanc attempt. There's no reason why a 60 year old should not summit, while a 20 year old could fail. It's simply that older clients may have the patience to increase their chances over a two week period, to reduce the stress they are putting on their bodies. 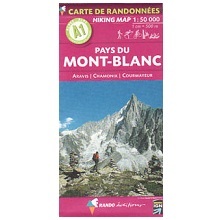 At the other end of the scale we normally only accept over 18's on Mont Blanc, but will accept an individual over 16 at the time of the course if accompanied at all times by their parent or guardian. What are the summiting statistics? Do I need to spend lots on kit? NO YOU DO NOT. We cannot stress this enough, as many people (probably most) spend far too much on the kit they buy before a course. Guiding is expensive (they are paid over £250 a day), and we have no wish for the expense of equipment to put people off climbing with Guides who are the qualified and experienced climbers in the world. A lot of clients use booking on a course as an excuse to treat themselves to loads of new kit, but that is their choice, and for most courses we require you to arrive with nothing more technical than the clothing you would go winter walking in the UK in. 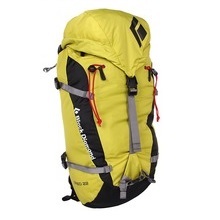 You can rent everything from boots to jackets, rucksacks to ice axes and crampons. 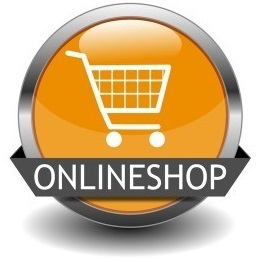 We hire a large range of equipment from only a few £ per item a week. Click HERE for hire equipment list. Compare a £50 hire bill of modern kit, to a £1000 shop bill for items that will be outdated in a couple of seasons. 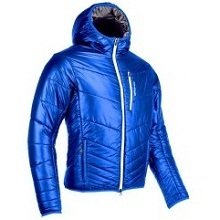 One item that people often forget is a long sleeved base layer top, in order to protect your arms from abrasion against rock / snow, and from sunburn. What boots are most suitable? This is probably our most commonly asked question, so we have produced a specific page to answer these queries. 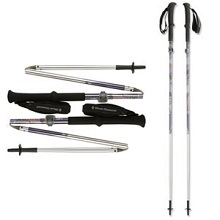 The link is Key Alpine Kit. The simple answer to the question above is as follows. On every course we operate (ignoring ski courses, where ski boots or ski mountaineering boots are necessary), you will require fully stiffened mountaineering boots. The ideal boot classification category is B3, which means that the boot sole unit is rigid. 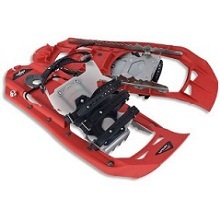 These types of boots accept all types of crampon, and do not flex at all. If you are considering buying boots for mountaineering, they must be B3, and good examples are the Sportiva Nepal Extreme, the Salomon Pro Thermics, or Scarpa Mont Blanc Pro boots. For expeditions or for winter climbing plastic boots are generally better due to their greater waterproof and thermal qualities. If you are in any doubt as to the suitability of your boots, we advise you to take them on the course, and our team will check your equipment. If they consider the boots unsuitable, they will advise you to hire some boots for approximately £5 per day. The most common reasons that we reject boots on courses are that they are too flexible to accept crampons, and if they have too little thermal qualities to keep your feet warm / free of frostbite. See also the answer to 'Can't I wear B2 boots? ', click here, or a full blog post click here. Can smokers climb Mont Blanc? What if the Friday is bad weather? 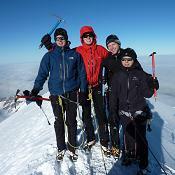 On our scheduled itinerary, the Friday is the ideal for the Mont Blanc summit day. So what happens if the weather is sub-optimal on this day? In this eventuality we will make every effort to advance mountain hut bookings on Mont Blanc by one or more days, to the latest realistic summit weather window during the week. In so doing, the huts where we source alternative nights bookings might not be the Gouter, but possibly the Tete Rousse / Gonella / Cosmiques / or even a base camp on the mountain. 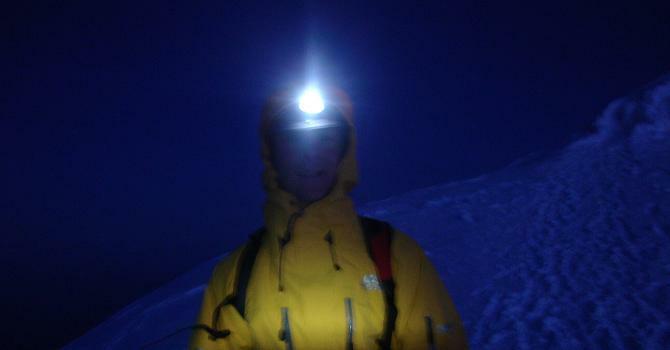 It's our ethos to try and give you a summit attempt, even if the weather dictates that it must be earlier than Friday. Obviously your acclimatisation won't be perfect, but at least you'll have given the summit a shot. The alternative is you are better acclimatised, but have no summit attempt. When booking on a one week itinerary, you need to consider the implications of this scenario carefully, and it is why our fitness and mountain skill pre-requisites are higher than any other operator we have seen. We understand you want a chance for a summit bid, even if it comes at the cost of ideal acclimatisation, and we try and make it happen when the hut spaces can be advanced and the guide considers it safe for you to make an early attempt. With this in mind, your acclimatisation and preparation before the trip are of paramount importance. We offer UK Alpine Training Weekends (link), and you can arrive early for an Alpine Acclimatisation Weekend (link) to ascend to altitude (even with the option of an extra night in a hut) before your guiding starts. What you put in before, might dictate what you achieve. Every bit of training and acclimatisation before your guiding, might make the difference between success and failure, especially if a summit weather window for Mont Blanc has to be advanced to earlier in your guided week. You have been warned! Is it like the accounts I've read? We get several enquires each year that ask something along the lines of "I've read on the internet that the ascent can be very busy with lots of stress and impatience. I don't want to encounter this. Is it true, and how do I avoid it? ", and our response is as follows... The huts on Mont Blanc are only open from early June to late September each year for summer ascents, and they are pre-booked and full every day of the season. We book our hut spaces up to a year in advance to guarantee our spaces. Mid week is just as busy as the weekends or holidays. It is a busy mountain, but you will only encounter issues of crowding if you are not really the level of fitness required for the ascent. Well trained and acclimatised guided groups tend to leave behind the inexperienced, unfit, or poorly acclimatised (generally unguided) groups. There are a few sections on the ascent where it pays huge dividends to have timed the ascent well and respected the suggested timings as each guide explains to their clients. These are the summit ridge which is narrow and exposed, and the Gouter couloir. If you are slow you arrive at the summit ridge late and have the worrying passing of inexperienced climbers with dangerous ropework to negotiate, then you arrive back at the Gouter hut later and have to cross the Gouter couloir later when the temperature is higher and there is a greater risk of rockfall. The nightmare stories on the internet are 99% written by people who have made scary errors during their ascent, and who are the cause of the issues that they write about. A well guided ascent of clients who have trained well and are acclimatised should be slick, successful and involve no epics! What week for the best weather? June - still fairly snowy in the high mountains, with cooler nights, and the longest days. July - often some of the most stable weather in the summer, though busy with holidays. August - a tendancy of warm sunny days, and convection storms in the late afternoons. September - as the days become shorter, the conditions often improve as it becomes colder. There are generally only one or two weeks during a season when someones chosen summit is impossible throughout the week due to bad weather all the time. Statistics such as this need to be put into context in that this may well mean that on say a one week Mont Blanc course, people need to be fit enough to ascend to a high mountain hut as early as a Tuesday to attempt the summit on the Wednesday, if that is the only weather window that presents itself. In these cases those who have greater fitness and experience, are far more likely to succeed. What type of insurance is needed? Our Booking Conditions require all clients booking on a course to arrange activities insurance as soon as their booking has been confirmed (by e-mail or in writing). You must check that your policy includes cover for the following: medical expenses, mountain search & rescue, personal accident, money & documents, any travel delay, personal liability, legal expenses & cancellation, as well as other circumstances for which you require cover. 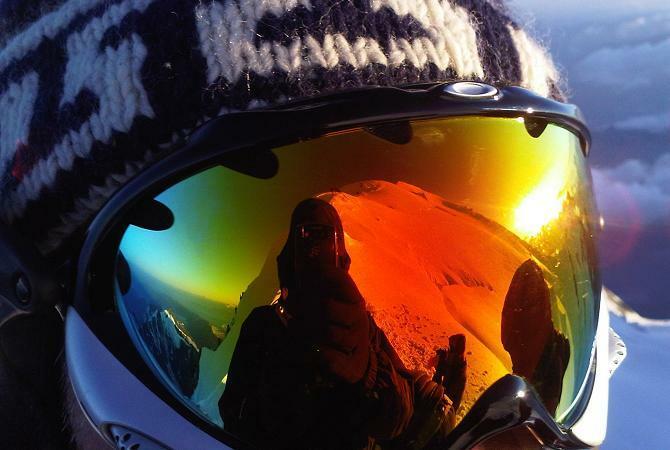 We recommend that you use BMC Alpine & Ski insurance: www.thebmc.co.uk or 0870 010 48 78. It is highly unlikely that any non-specialist climbing insurance will provide this level of cover. Upon arrival on a course, you will be asked for documentary proof of your activities insurance. Full details of the cover provided by the BMC and Snowcard insurance policies are on the insurance page (click to link). What alternative peaks are there? If the weather is too poor / unsafe to attempt Mont Blanc, or you opt out of an attempt (it does occasionally happen), then you still have all the days of guiding that would have been on Mont Blanc. Whevever possible we try to find you a challenging alternative such as Gran Paradiso in Italy, or Weissmeis / Bishorn / Breithorn in Switzerland. The routes that we would select on these peaks would be of a similar grade and challenge to that of ascending Mont Blanc, so are not 'soft' options, but worthwhile major 4000m summits. Some clients opt for two day routes to develop their technical skills. This page answers the questions that we are most frequently asked by those who have never been on an Icicle course before. Some of the questions would make a White House Press Secretary look for an easier job, whilst others will probably make you laugh. At least you can learn from it all, and if you still have any queries after reading this, then please send us an e-mail, or call. No other course provider will ask this question, but we do as we want you to be sure that this is the right course. It costs a lot of money and time, and we want you to have a good chance of success. 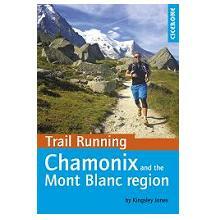 Mont Blanc isn't an ideal first Alpine 4000m peak, but on the other hand it is not technically difficult. You require excellent fitness and stamina, as well as great balance combined with the ability to move quickly and efficiently over broken mountain terrain. An ability to learn quickly is useful, as you will be taught a lot during the week. We can't book the weather, but we do guarantee to do our best to maximise your summit chances by tailoring the course to you, the individual. If you cannot summit (through your skill or technical level or the weather or objective dangers such as rockfall), these are elements beyond our control. Please note that we cannot issue a credit voucher for the value of any 'unused' elements of your course, as guiding is not transferable as it is provided anyway and the huts are pre-paid to secure a reservation. Can't I wear B2 boots? If you have your own B2 boots and your own 12 point crampons, it may be possible to ascend Mont Blanc without needing to hire B3 boots. On warmer weeks this is possible, but on the very limit of the thermal properties of the boot. If you suffer from poor circulation or feel the cold, it's not worth risking it, and B3's are recommended. We don't hire B2 boots, as aside of their inferior thermal capacity, compared to B3 boots, they are more flexible so there's a far higher risk of shedding / losing a crampon, and breaking the crampon bar. Either would thwart a safe ascent. Another issue to weigh up is that B2 boots are often cut lower on the ankle than B3's, so do not offer as much support, especially on rocky ground or icy patches. There is a higher risk of twisted ankles or strained muscles too. With step in crampons with a heel clip, with B2 boots the clip often presses against the back of the heel on the achilles tendon, and this can lead to inflammation and pain. The flexibility and lack of padding in this area of the boot can not only cause you discomfort, but also allow too much movement of the heel clip to the extent that is disengages from the heel bail and falls off. Often it may be possible to get away with using a B2 boot on Mont Blanc, but when you have invested a lot of money and time off to make the ascent, is it really worth risking a successful summit bid over? 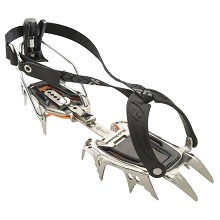 It's your choice, but for the crampon breakage reason alone, we cannot rent crampons to those bringing their own B2 boots, as it would be negligent in the light of having alterted you to this potential issue. Many people do use B2 boots and the weather is good and their crampons are relatively new, but you never know. If you opt to bring your B2 boots to the Alps, you can always change your mind during the week and hire some B3 mountain boots. Read more here; link. If the huts are closed? On some very rare occasions the local town hall / prefecture / mountain rescue decide that the conditions are too dangerous on Mont Blanc, and put an advisory against climbing the mountain by a certain route. In these cases we never make any ascent of the mountain, as it would invalidate the guides insurance, and yours too. Exceptionally the hut(s) on the mountain might also be told to close too, and this effectively closes the mountain by that route. In these circumstances of force majeur, we offer you a suitable alternative challenging peak(s) for the objective of the week, exactly as we do in periods of adverse weather. If one route on Mont Blanc is closed at any stage, another route may still be possible, but all other routes other than the Gouter (normal route) are significantly longer and / or more technical. If you are to be in a position to consider these alternative routes, you will need a higher level of fitness, and pre-existing crampon skills and good techniques. If any / all huts on Mont Blanc are closed, you are not offered any refund, as the guides are booked and paid for anyway, and you will climb an alternative summit instead. For those with no / low previous climbing / altitude / crampon / mountaineering experience, the only viable option is usually the Gouter route on the mountain. The guide will discuss the traverse route with you from Aiguille du Midi, if they consider the conditions suitable, and your experience makes it a viable option. This route is technically harder and is definitely a lot longer and more physical. It is the guide who makes the final decision, though they will bear your preferences in mind. If you wish to climb the traverse, it is fast becoming common practice (potentially soon becoming law) to only guide this route on a 1:1 guiding ratio. This route option is rarely available at the last minute due to guide availability and pre-booked hut spaces, so if you are keen to ascend via this route in advance, then opt for a 1:1 ascent at the time of booking. A third option is via the Italian Gonella route, which is the same grade as the Gouter, and though it is a longer summit day, you avoid the Gouter couloir. This route is generally only in condition in the early summer season until late June / mid July. Many people come to us a pair of two climbing partners. 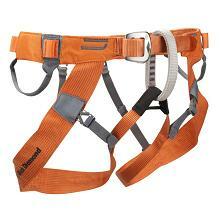 If you wish to climb together, that is your choice, and we will facilitate this. The guides may highlight if there might be a better pairing for you, but your choice will always be respected. The majority of clients book as single bookings, and ask how the guide chooses partners. This decision is made on a basis of the judgements made on your relative fitness, speed, stability, technique, as well as personal factors such as who you get on with. The initital choice of two person climbing teams, from the Tuesday morning onwards, does not always reflect a fixed idea for the whole week, and often is subject to change. It is key for the guides to try and make up teams that compliment each other, and who are likely to work well together on the ascent. Your thoughts and preferences are always taken into account too.